After two years, what I have come to call “The Lost Collections,” have finally come together into an online exhibit. Many many thanks go out to my friend Krista Carson, who has helped me put all of this together. The story started in January of 2011, when my friend Paige Glenen and I made an incredible discovery in storage at the Museum of Ontario Archaeology, in London, Ontario. 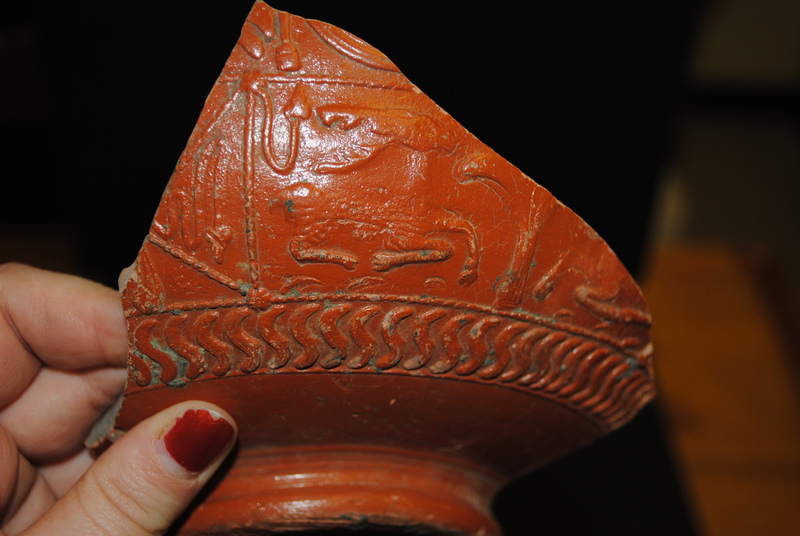 We had found boxes and boxes of artefacts labeled as “Old World Roman.” The idea that we had a collection of Roman artefacts that we could handle and explore was exciting enough for two Classical archaeologists. However, it soon became very apparent that there was more to the story than we had originally thought. Most of the boxes contained artefacts that were most definitely not of Roman origin, but what were they? There were some large complete, or almost complete, pots stuffed with old yellowed newsprint. We thought it would be best to remove this acidic product to protect the artefacts (that and we wanted to look inside). We found many more small artefacts, small pots, human figurines and two Cuneiform cones (cone-shaped baked clay pieces covered with writing known as cuneiform). This is when we knew we really had something special. 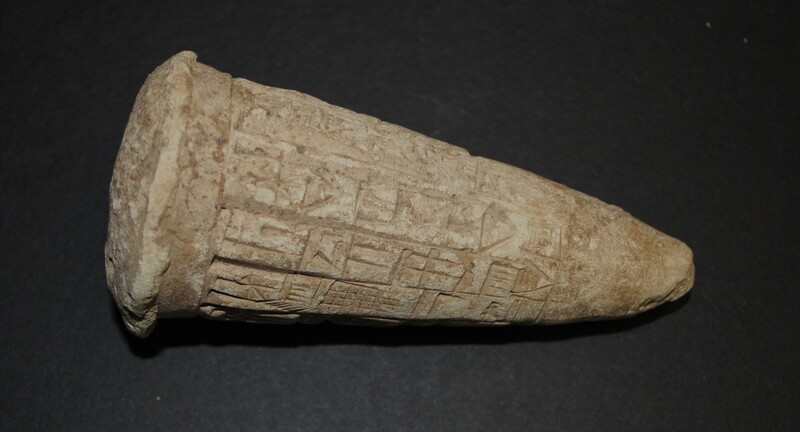 The cones are real and the presence of cuneiform text identified the part of our collection as Mesopotamian (the region around the Tigris and Euphrates rivers in Modern day Iraq and Syria). Armed with this information we were able to determine that the majority of the artefacts are of Mesopotamian origin and were found at the archaeological site of Ur (in modern southern Iraq). The majority of the collection dates to c. 5900 – 2000 B.C.E. The story behind the Lost Collections has proven to be unique and fascinating. I hope you take the time to explore the online exhibit and learn more about the story of the Lost Collections of the Ancient World. Katie the online exhibit is awesome! Very cool! Makes one wonder how many similar mysteries lurk in the storage at other museums.